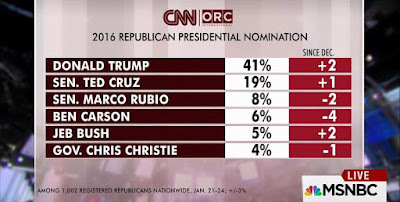 Initially the Republican contender poll ratings for US President last year were about who was the most popular personality, which had Donald Trump in the lead. Then Ben Carson stole the limelight by saying that a Muslim would not make a suitable US President, and gained more by comparing Muslim migrants in Europe to rabid dogs. 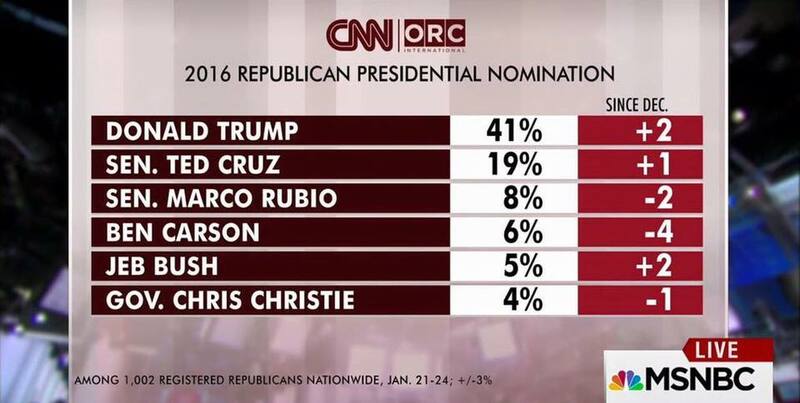 This closed the gap with Trump in the polls, briefly. However, Trump regained the lead by proposing a complete ban on Muslim migrants in December following the Muslim terrorist shootings in Paris and San Bernardino - and numerous foiled Muslim plots since - and has maintained it. Our feeling is that the policies of presently second placed and 'tea party' member Ted Cruz are simply too conservative to make him electable, while Trump's stances are quite populist; most importantly, dislike of Muslims in the US is very high and growing. With the US economy now in reasonable shape compared to 7 years ago, issues like this will dominate the campaign. In the Democrat camp, Bernie Sanders is the counterpart to Cruz: simply too extreme to be electable. The big question is, who out of Hillary Clinton and Donald Trump would win the top job? Trump made good on his promise and boycotted the Republican Presidential contenders debate. This isn't a surprise being that the real problem is that Fox News is controlled by Rupert Murdoch who is known for his open borders, unrestricted immigration viewpoint -- quite opposed to Trump's stance. 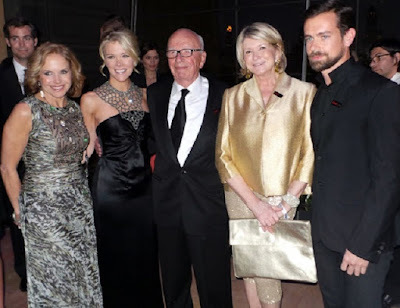 the Fox News reporter who Trump had a falling out with, Megyn Kelly, second from left, with her boss, Rupert Murdoch next to her.